My So-Called Soundtrack: My Part-Time Cover: "We Used To Wait"
A smart way to build buzz for your upcoming album is to successfully cover a song from a huge album that has just been released. The Drums are releasing their album, The Drums, September 14th on Downtown Records and are currently covering "We Used To Wait" by Arcade Fire in concert. "We Used To Wait" appears on Arcade Fire's most recent album, The Suburbs, which just came out on August 3rd. Arcade Fire's original version is pretty atmospheric and is led by a stabbing keyboard line and an accentuated drum groove. The herky-jerky verse sits nicely against the smoother, ambient chorus. As I'm sure Arcade Fire has seen while touring, these verses are made for dancing and the choruses are made for singing along. 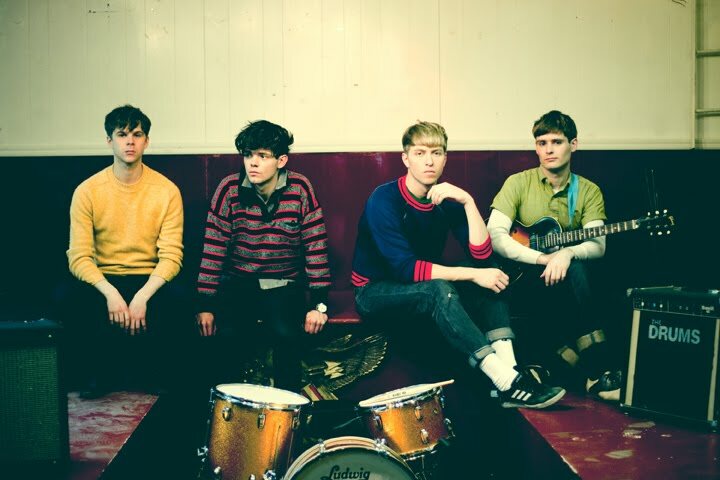 For their live cover of "We Used To Wait," The Drums take a more direct approach to the song. Picking up the tempo and ironing out the dynamic musical shifts between the verses and choruses, their version has a more driving, poppier feel to it. Also, the fact that The Drums are a basic four piece indie rock outfit with just guitar, bass and drums has an effect on the interpretation as well. By putting their own stamp on it, it comes across as more of a "tip of the hat" to a killer song instead of just a gimmicky direct copy. I dig it and I'm looking forward to hearing what their new album will sound like. The Drums will be released on September 14th on Downtown Records.